Sometimes it's the darkest of hours that allows the light of goodness to shine through. That's exactly what we've seen in the days and hours since 155 MPH Hurricane Michael roared through the Florida Panhandle. The kindness and generosity of others, combined with the leadership of Governor Rick Scott, teams of first responders, emergency repair personnel and direct service providers, has been the saving grace helping communities pick up the pieces. Thank you to the local chambers who are helping get local businesses in the Panhandle back up and running, and to Greg Blosé and Josh Gabel of the Florida Chamber team who have spent more time at the state Emergency Operation Center helping support entrepreneurs before and after the storm than they have with their own families. And I'm particularly appreciative of Florida Chamber members who are alerting employees about the dangers of trial lawyers and Assignment of Benefit scams. These are heroic efforts that make me proud to be a Floridian, and they should be celebrated. 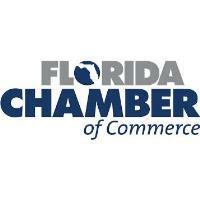 Just as important, however, is the generosity of Florida's business community. They understand it will take all of us, working together, to help rebuild our communities - to help normalize everyday life for those that call Florida's Panhandle home. That's why Florida's business community is mobilizing their expertise, capabilities and community resources to assist with relief and recovery efforts. Already, Florida Chamber members have donated more than $10.35 million to Hurricane Michael relief efforts. Take a look at a sample of Florida Chamber members helping our neighbors in the Florida Panhandle. We know there are Florida Chamber members helping out in all kinds of ways; businesses all across Florida that have taken action. Even right here at Florida Chamber headquarters just two blocks from the state's Capitol, we've converted our lobby into a hurricane relief drop off location. We've partnered with Florida Chamber member Altrua, who in turn is transporting these supplies to the 12 counties in the disaster declaration zone. I have no doubt that in board meetings across Florida, business leaders are looking at how they can best share their resources to help families and businesses pick up the pieces. The Florida Chamber's Hurricane Center has a wealth of resources to help in your decision making process, including Volunteer Florida's Florida Disaster Fund, and the Florida Chamber's Local Chamber Relief Fund to help local chambers of commerce impacted by the storm. Before the cameras arrived, and after the cameras are long gone, it will be businesses helping Florida families and communities get back on their feet. While I hope trial lawyer billboards are the last structures to be repaired, let's take a moment to thank the businesses that are helping Florida recover and ultimately rebuild with resiliency. Our thoughts and prayers are with the thousands impacted by Hurricane Michael. The road to recovery will be long, but together, with the backbone of free enterprise - hard working entrepreneurs who understand the importance of jobs and the support they provide families and communities -- we will secure Florida's future.